Alpha Docs: The Making of a Cardiologist follows Dan Muñoz through his training to become a cardiologist at Johns Hopkins Hospital. 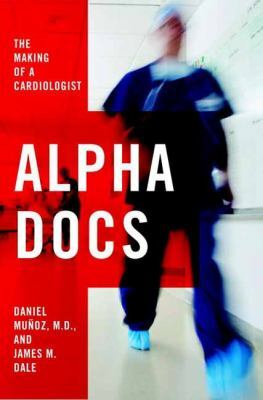 This medical nonfiction highlights Muñoz’s first year of his fellowship at Johns Hopkins, a year where he does a rotation through all of the fields of cardiology: preventive care, nuclear medicine, echocardiography, intensive care, heart failure and transplantation, and electrophysiology. He takes the time to explain the workings of each different cardiology field and tries to decide which area he will end up in after his fellowship is over. 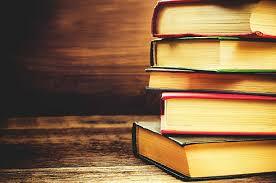 Alpha Docs walks readers through complicated procedures, but in layman’s terms, so that they are easily understandable. Throughout this book, Muñoz talks about how this fellowship is allowing him to search, learn, and discover more about his place in medicine. I really enjoyed his breakdown of each profession and how within each rotation, the cardiologists do very different things, but that there is an overarching goal for all: to keep learning and training and practicing medicine to provide better healthcare for patients. This book really showed the different stages that certain doctors go through while trying to find their niche in the world, while also providing an in-depth look into such a highly sought after fellowship at Johns Hopkins. On a day-to-day basis, emergency room doctors see a staggering amount of patients. This can become daunting especially when you work the night shift and have a growing family that relies on you during the day. The training and schooling involved in order to become a doctor is somewhat designed to introduce interested candidates to the stressors and rigor of being a doctor, but even armed with that knowledge and experience, the first few shifts and even months until you fall into the swing of things can seem daunting. 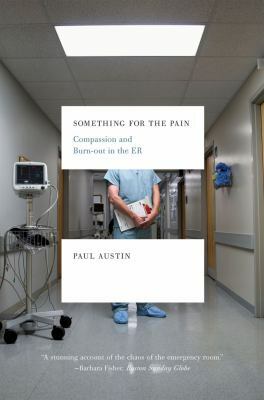 Paul Austin, a former firefighter with more than twenty years of experience working in emergencies, has crafted together Something for the Pain: Compassion and Burn-out in the ER. This book, Austin’s memoir, provides an account of what it is really like to struggle through years of medical school, decide your specialty, and then commit to that area. Austin details for readers some of the challenges that emergency room doctors go through on a day-to-day basis. No matter how difficult his day is, he acknowledges that working in a busy emergency room has allowed him to grow and become a better doctor and person. The endless line of patients and the daily labors of working in an emergency room threatened to tear him apart and destroy his family, but Austin worked hard to find himself again through therapy and looking for moments of clarity, sanity, and compassion throughout the hospital corridors. In case you’re wondering, it has a grade of 7-9%. 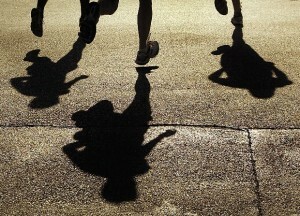 I know a few masochists taking part in the area’s premiere social/sporting event, the Quad-City Times Bix 7. 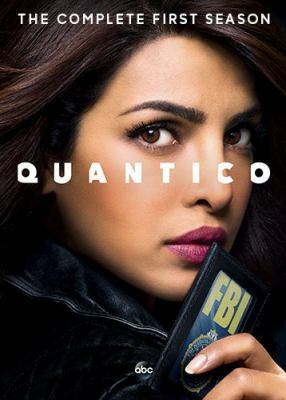 It was my hope this post will collect new knowledge, as well as construct a semblance of personal commitment resulting from the embarassment of not not taking the plunge and registering. I started writing several weeks ago before the registration price went up, after this brave young lady was randomly chosen to draw the world’s spotlight for a shot at a small fortune. There would be no jackpot victory with any kind of Ed Froehlich advantage thrown thus beginner’s way. The nadir of six months of accumulated self esteem occurred at the first of four Bix at 6 events, designed to fine tune the mettle of participants. Methinks these events were designed out of necessity, as this footrace is clearly the magnum opus of convicted Nazi doctor Joseph Mengele. However, by the looks of the participants, these training runs are more recess time for human gazelles than the potentially injury-prone. The Bix 7 is what is it means to be a Quad-Citian. It started as a Prohibition-era cornet playing phenom of dubious repute, became a little jazz festival spawned out of civic pride in the 70’s, and then blossomed into a monolith that almost eclipses our little burg. However, given the Bix’s history and global renown, there is a surprising dearth of information out there when Google searching for “tips”, “strategy”, and “advice” outside of the sagelike wisdom to drink water and prepare for hills…for real people, that’s embarassing. It’s 2010 in the age of global GPS and I sadly have to straw poll my neighbors for data. Advice would be great, as there are hills, and there are HILLS. Lower-case hills are what are alive with the sound of music. Bix 7 HILLS are acts of hatred borne of a sadist’s wicked imagination. They are the hills your grandparents walked up both ways to get to school in the snow. As I sat there at the base of on mile 3 profusely swearing, I felt like Medic Wade in Saving Private Ryan. So here are some techniques developed by a pale, sickly amateur, since over several decades of accumulated experience no one has posted any truly prescriptive course advice on the Internet. 1- Run the four Bix at 6 practices. They are free, and an excellent value because of the safety personnel and water stations. If you go in there half-cocked, you will have a rude awakening. 2- Take Brady excessively slow so you have something left. 4- Drink a water before the race and eat a bunch of rice at lunch and a couple bananas in the afternoon (can’t rightfully say if this helped, but it didn’t hurt). Fine for 6pm, not sure about how this would work at 8am. 5– Fire off a rallying soundtrack at about 1.5-2 miles left as you pass Arlington or Davenport street as a reward for making it back up the cruel ascent. 6– Yes, you do need to prepare for hills, but where, what, why and how safely is what no one is covering. Do a few circuits at Longview Park Rock Island’s bike path in your off days. Sidewalks are for people paying attention. Don’t be the person with the MP3 player oblivious to vehicles making turns. Pedestrians have an obligation to be courteous that comes with their right of way. Bix at Sixes 1-75:38 2-74:41 3-72:13 4-74:31 (Extreme humidity, for which I am told there is no known cure) Not exactly a Kenyan pace, but it’s as far into the red as I can push this old jalopy. “Creating the Best Life for Animals” is the subtitle to Animals Make Us Human. 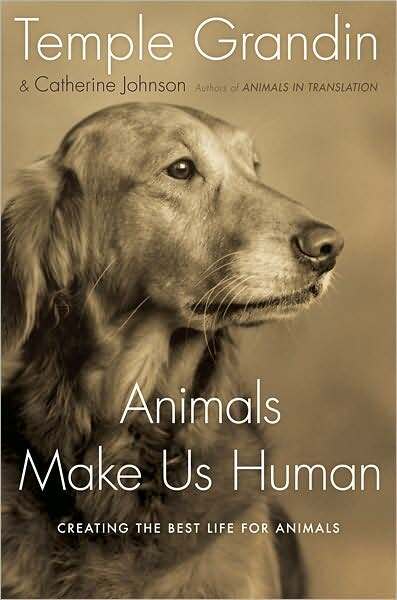 Temple Grandin, the author of Animals Make Us Human, is autistic and she feels it has given her a special gift in relating to animals. She emphasizes the importance of play and seeking activities for all animals. To have a rich life, pets need to use their brains – and they do this by trying to satisfy their intense curiosity and by playing. Owners are responsible for ensuring that they get these opportunities. Especially fascinating is her description of the evolution of the domestic dog from the wolf. Beware Cesar Millan fans; she has fundamental philosophical differences regarding owner dominance and pack behavior. (She doesn’t think the pack leader theory is useful in most households). Grandin also cites evidence that cats can be trained – by using rewards, rather than negative reinforcement. (This is true with all pets, but especially cats). Cats are still more on the “wild” end of the continuum of wildness to domesticity. Wild animals just run when punished; they don’t learn anything from being punished, other than to fear the punisher. Grandin’s theories resonant with all species (including our own).